Do you know the two biggest trends in our restaurant industry for 2018 are sustainability and authenticity? So, whilst the end result of providing diners with delicious food is vital – consumers are demanding we take steps in not only being creative with our offerings, but are also stressing we must take action and source foods and ingredients which have been farmed sustainably. Would you believe, hospitality supplies in Australia of all places are even taking charge and trying to help impose these positive behavioural changes amongst their trade customers. Kudos to you Australia! Who do we have to thank overall though for this positive turnaround in mind set? Millennials – but it’s now spreading to younger demographics too. Our younger generations are being educated on caring for the planet and are naturally therefore paying more attention to our actions implicating it. Consumers are not only looking for their food to be nutritious, but also that it’s sustainable and authentic. As we feel more connected to the globe and gastronomy through traveling, the internet, food publications or television programs, preferences are evolving and setting trends for 2018 and beyond. 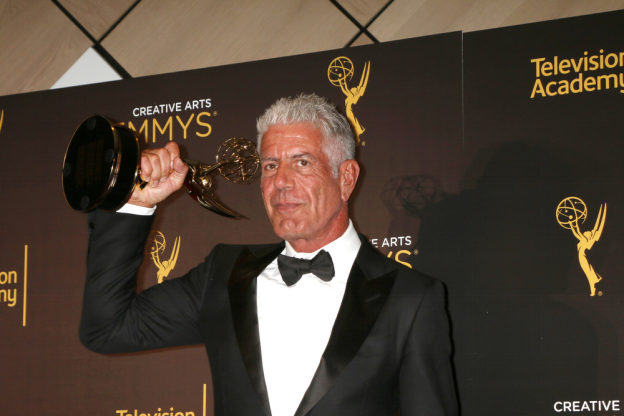 We’ve watched the dear and late Anthony Bourdain eat his way around the world for years. Why? Because authenticity is important, both for flavor in dishes and the respect and interest garneded to the cultures whose recipes are being replicated, respected and enjoyed. International ingredients are trending and are an easy way to infuse global inspiration into local dishes. People are wholeheartedly interested in international cuisines and are willing to try different dishes to expand their palate! Sustainable seafood is now a way of life. The future of our oceans and entire species of underwater life are dependent on humans consuming fish caught and farmed sustainably. Diners who enjoy seafood are paying attention to population numbers, so restaurants need to as well. Seafood Watch is a fabulous resource for helping one make educated choices about seafood consumption. Thankfully, there’s been a growth in the number of sustainable fish farms recently too which is good news. As global food production places immense pressure on our planet, people are concerned with the amount of food being wasted internationally. A simple solution to this growing epidemic within restaurants, is to offer customers the option to take their leftover food home. Restaurateurs can also consider incorporating excess ingredients into new dishes or even consider assisting local farms with their composting program. Another trend that’s enabling food waste to be reduced is supermarkets selling cosmetically challenged produce or in other words, “ugly” produce. Usually farmers can’t sell such unique looking products meaning perfectly healthy food ordinarily goes to waste. The growing popularity in selling “ugly” produce has been embraced by major grocery store chains globally so consider asking your ingredient and produce supplier for the “ugly” produce. Providing dishes with a range of nutritious vegetables and smaller portions of protein are healthier for the consumer and healthier for the planet. Some of the most popular food trends of 2018 are vegetable based making it easy to incorporate larger amounts of vegetables into menu items. Zoodles (noodles made out of zucchini), cauliflower pizza crust, buddha bowls along with a great range of other veggie dishes are now insta-hits! Many of you already have or can hopefully incorporate some of these simple 2018 trending solutions to your internal restaurant’s processes. When you have, don’t forget to let your customers know and have meaning conversations with them whether in person, through POS or on social media. This way, they can be assured and proud that you’ve made improvements to your business with the planet in mind.